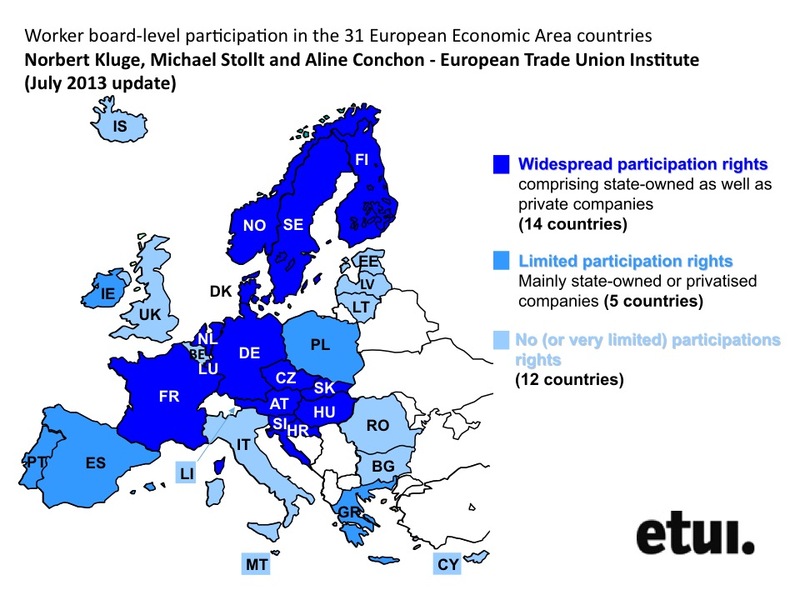 In 19 of the 31 members states of the European Economic Area countries there exists legislation on employee board-level representation. 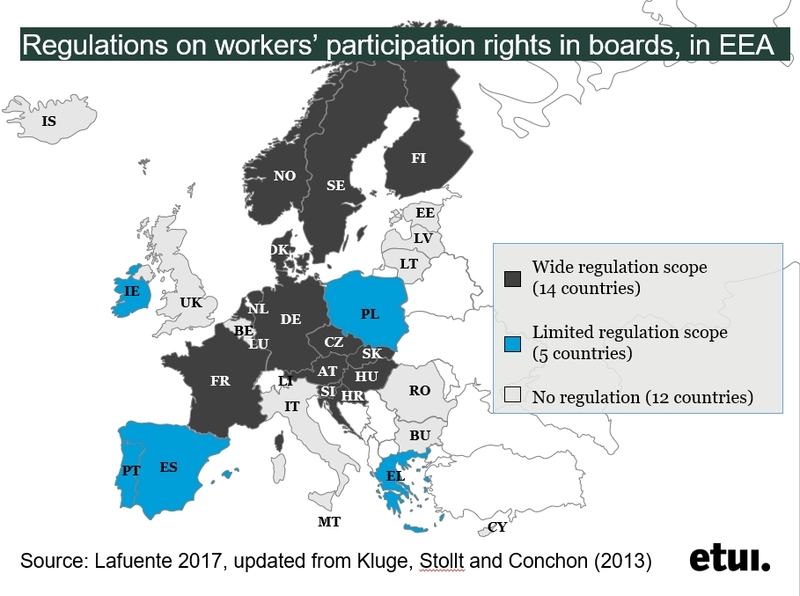 Even in countries that have no legal regulations, such as Italy and Belgium, instances may be found (albeit exceptional) of workers’ representatives sitting on the company’s board as the result of a collective agreement. Available in EN, DE and FR. The situation in 2015 is presented on the below map.